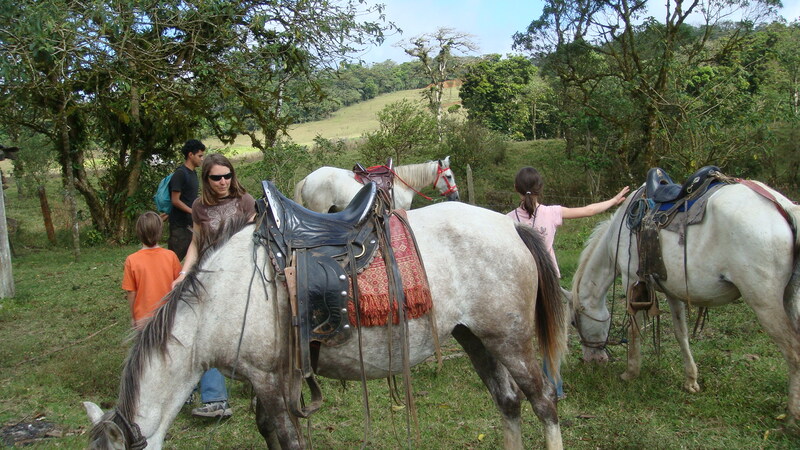 Taking a paid, guided horseback ride in the northern mountains of Nicaragua is nothing like a guided horseback ride in the United States. For one, I can’t imagine an American operation thinking it a good idea for an inexperienced six year old to ride and control his own horse for six hours. 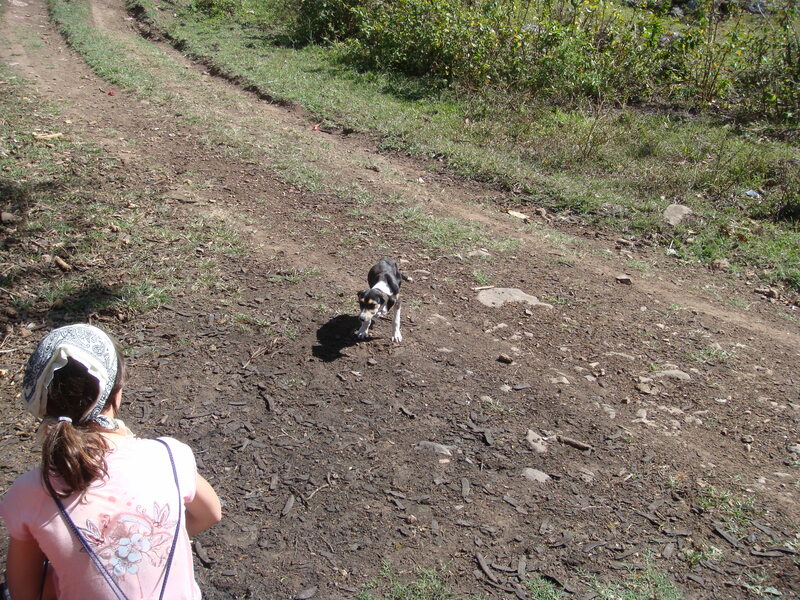 But the confidence of Jamie, our Nica guide, assured me. Or at least made it seem allowable. And my six year old was certain it was a grand idea. My eight year old would ride Paloma. Isn’t she pretty? We headed out in the misty early morning. 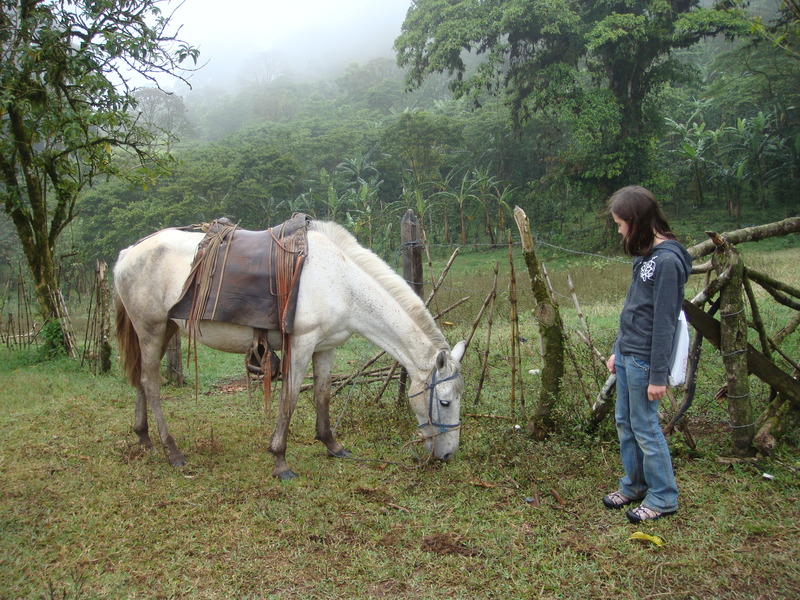 The foals of Paloma and her sister, Mariposa, desperately wanted to come along. 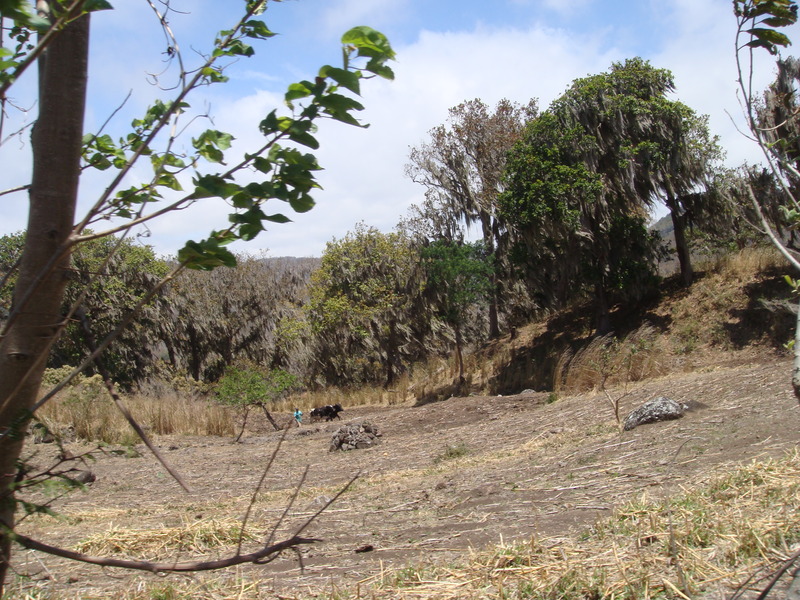 Our six hours would take us through Miraflor Nature Reserve, a protected area where farmers grows crops and raise cattle sustainably on small plots interspersed throughout the three microclimates of the 200 sq km reserve. Our first stop was the Orchideario. We were visiting at the end of dry season and the orchids weren’t flowering at the time. 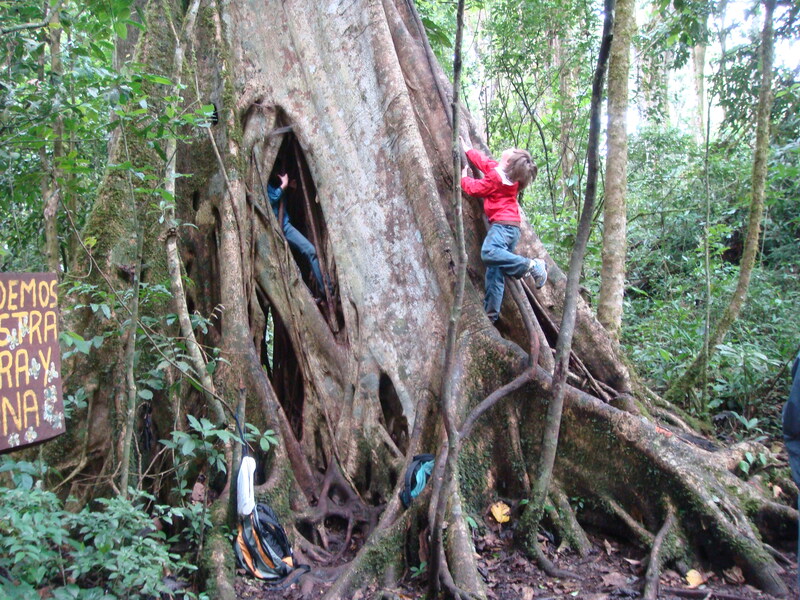 But we found leaf cutter ants carrying big pieces of leaves across the path to their home, transparent butterflies, medicinal berries, and this tree that Jamie crawled inside and climbed up and then rappelled back down on the outside using vines. 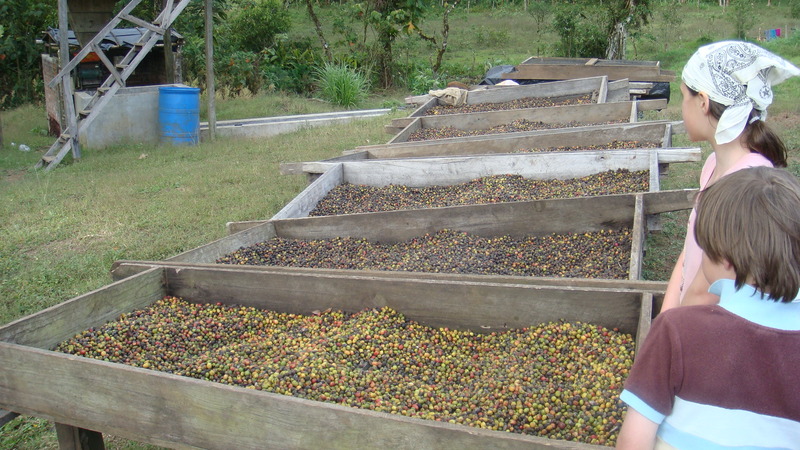 Four types of coffee are grown in Miraflor. 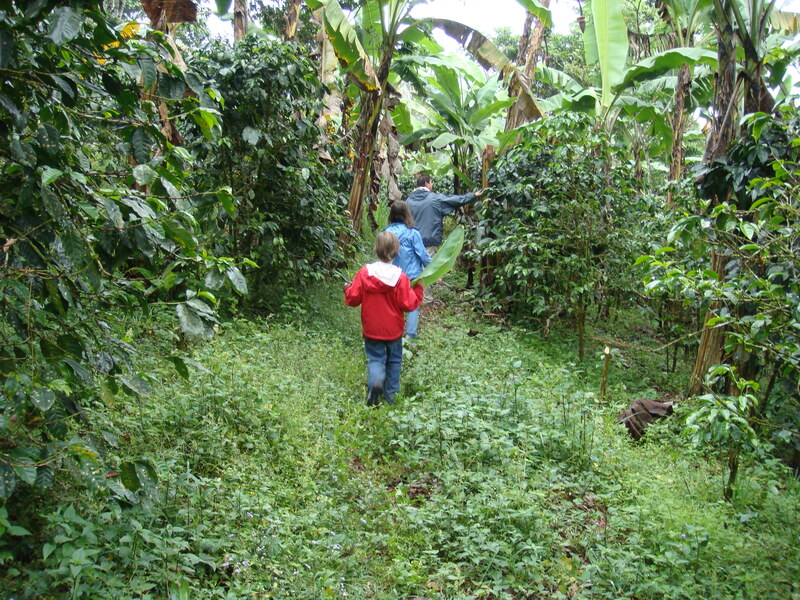 The small trees were interspersed with tall banana plants. Then we set out to wander the countryside. 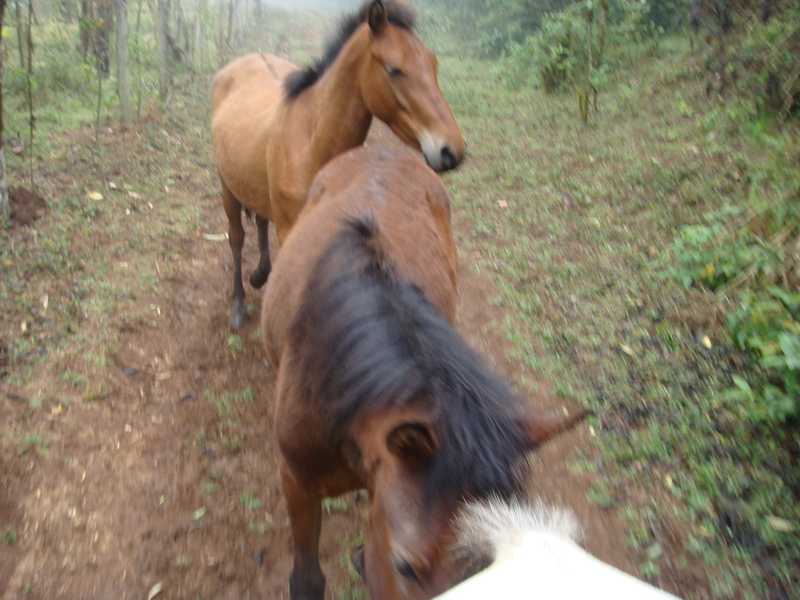 At a steep rocky ravine, the horses balked at going down. Jamie insisted it was no problem for them. My six year old’s horse, Mariposa, was the best at leading the group, Jamie said. My six year old would go first. I willed him to hold on tight. 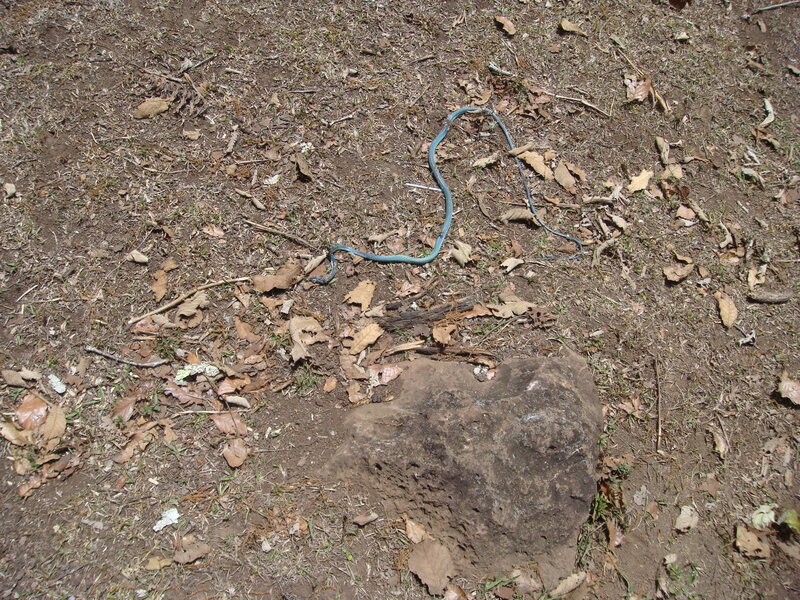 We came across this dead turquoise blue snake. I can’t say I was disappointed it wasn’t alive, but it is a gorgeous color, isn’t it? to this river with a lovely waterfall. 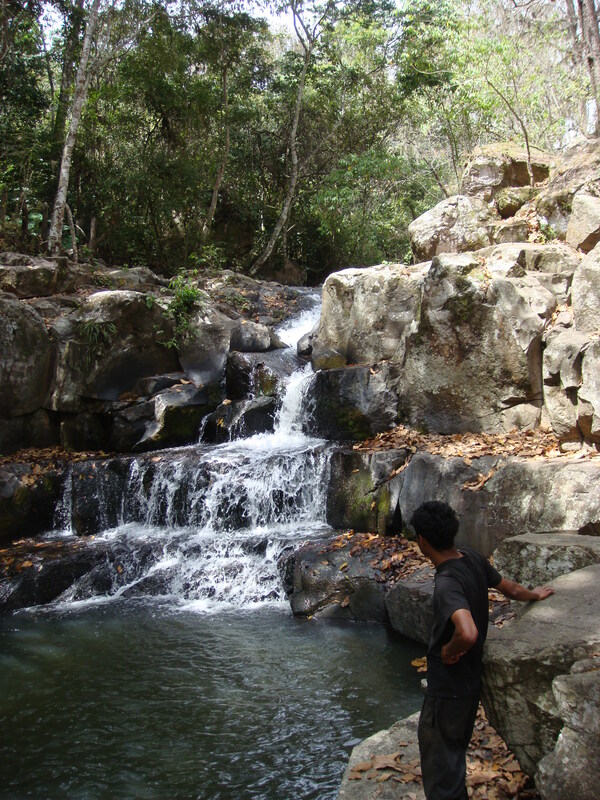 I must mention: if you are visiting at the end of dry season, do not strip off your clothes for a dip under the waterfall. Unless you don’t mind an infestation of ticks. Newly hatched and hungry, we were a magnet and they the iron. It was impossible to get them off before we were covered with more. We’d have to attack the ticks later. Back with the horses, Remy played with a puppy. 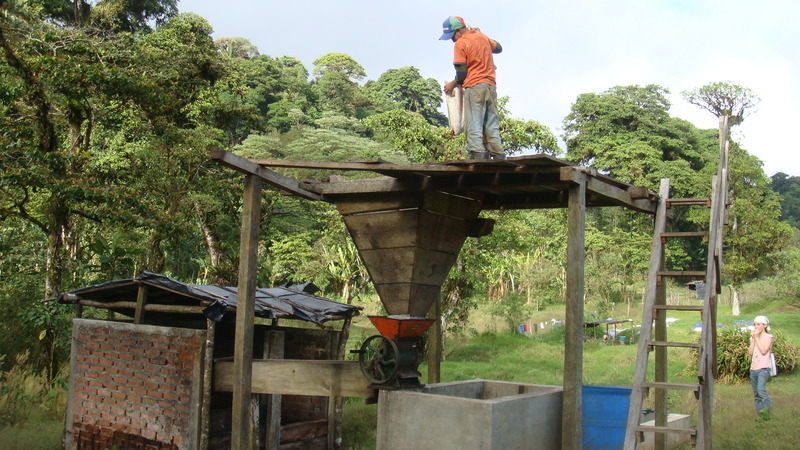 Even though the concept of Miraflor is very first world, farmers still have very little. Oxen, not tractors, pull the plows through the fields. There are few vehicles. Some people have horses but we saw most people traveling on foot. 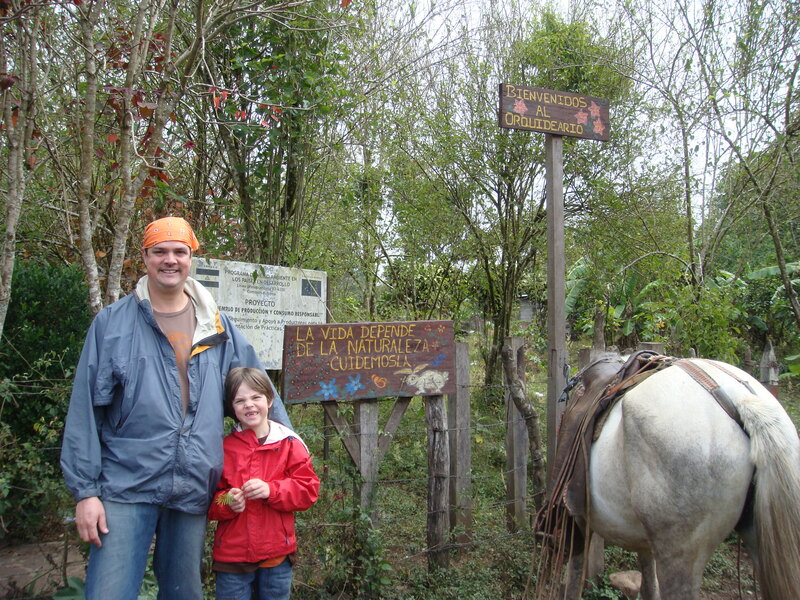 While riding back to the farm where we stayed, Posada La Sonada, Jamie asked if we wanted to let the horses run. The kids thought it a brilliant idea, and before my instinctual motherly concerns could be projected, we were all off and running. Jamie had earlier fashioned a little whip out of a stick for Simon to keep Mariposa moving, since she was the leader, and Simon took to his running horse like a cowboy set loose after a day of being reigned in. His cap caught the wind and blew off as he whipped Mariposa (gently, of course) with one hand and held onto his saddle with the other. I couldn’t help but laugh while I willed my kids to hold on tight. Back at Posada La Sonada. 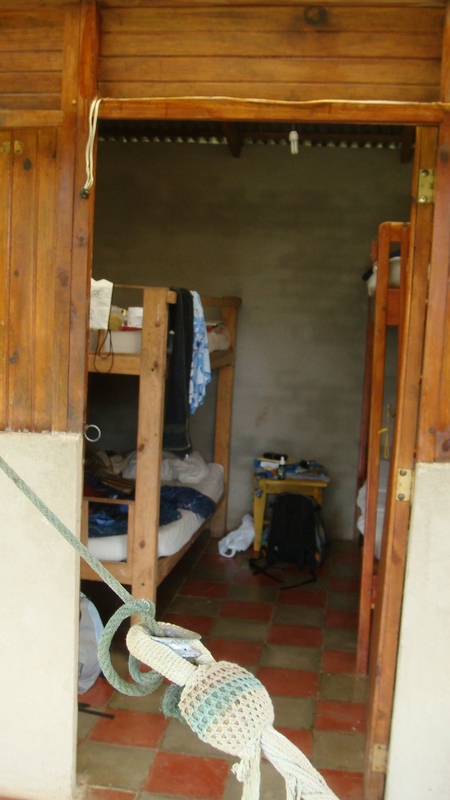 And to our room to strip and search for ticks. 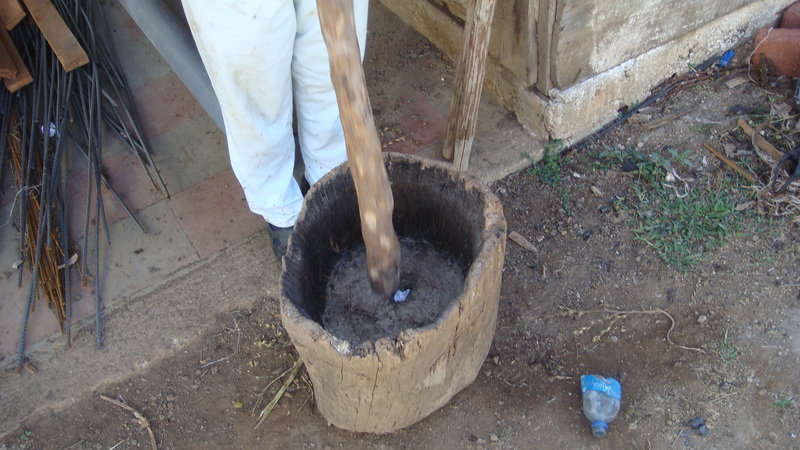 Immersion is my favorite way to experience a new country. 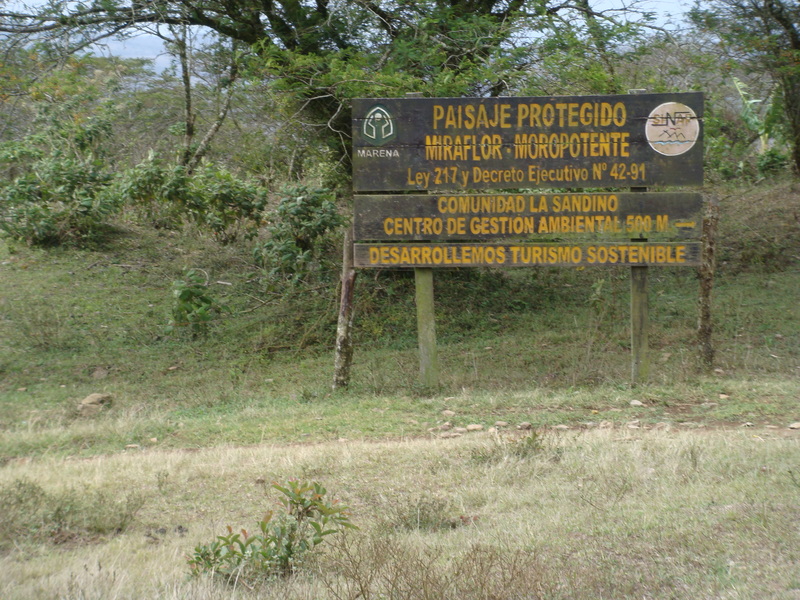 And you couldn’t wipe the smile from my face the days we spent at Miraflor Nature Reserve in Nicaragua. 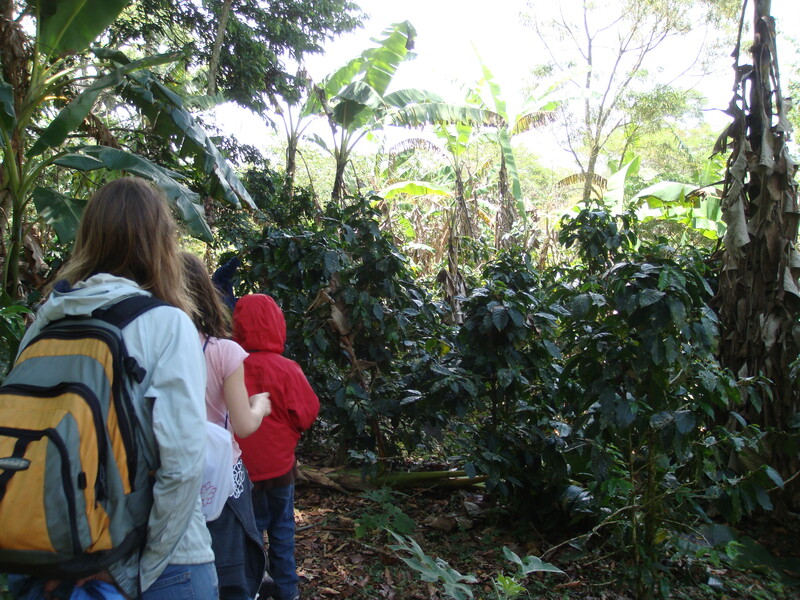 Not only were we deep in the heart of Nica countryside, we were also on a coffee farm. 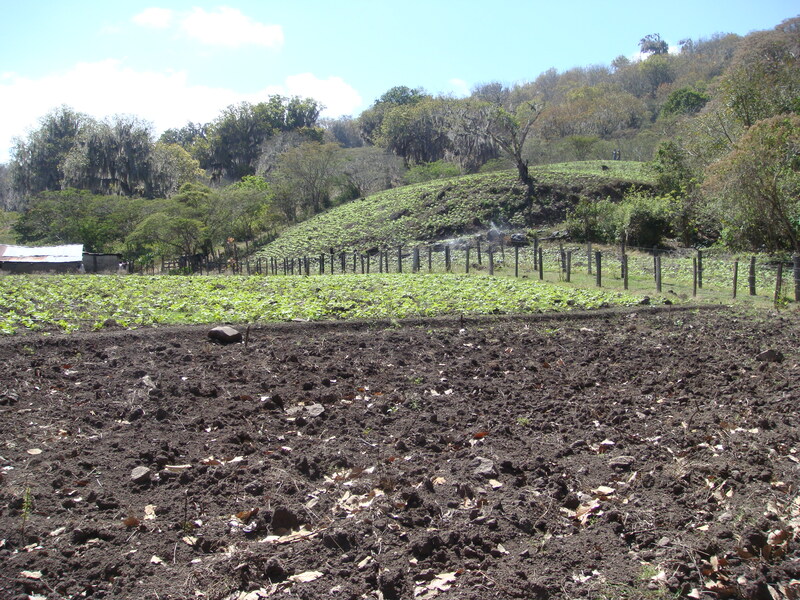 Besides being a protected haven for flora and fauna, Miraflor hosts an agricultural cooperative where campesinos farm plots using organic methods. 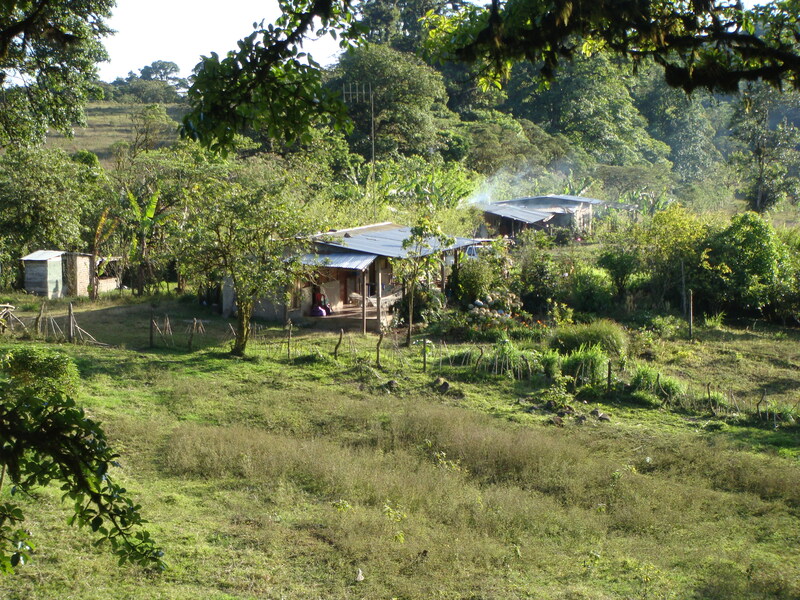 We stayed with Dona Corina Picado at her farm, La Posada Sonada. 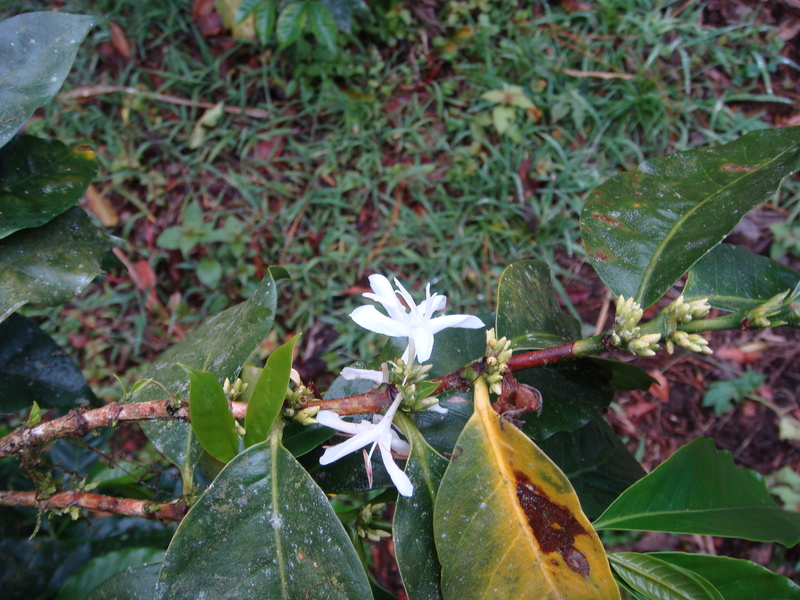 And a coffee flower smells like an orange blossom. 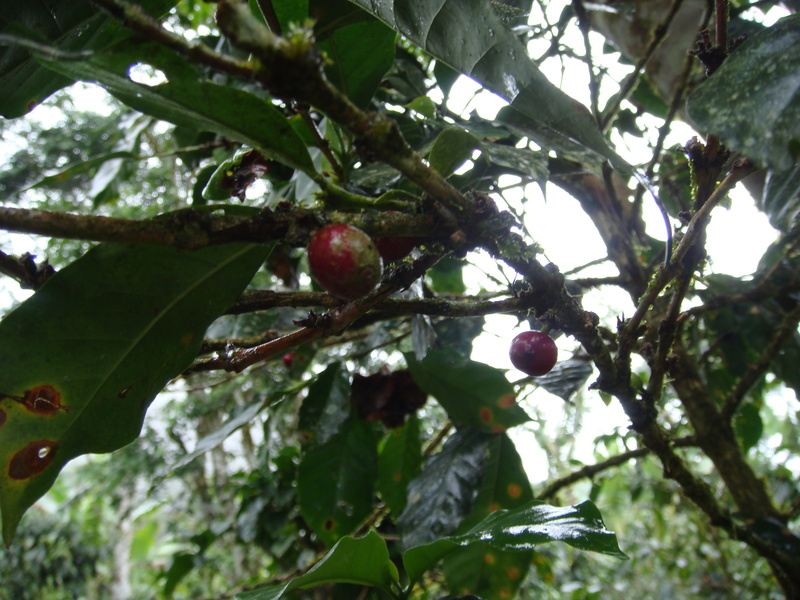 And that coffee plants grow well under bananas. We stumbled upon a few farmhands filling American-style backpacks with hand picked berries. Clearly, harvesting was a slow process. We watched this young man dump the day’s harvest into the machine to wash and sort the berries. It was here that I learned a cup of coffee should be drunken slowly, and savored. For more stories of travel and food, check out wanderfood wednesday!